Companies are deploying billions of devices to support mission critical operations in a wide range of venues such as connected devices in factories, oil wells, agricultural fields, hospitals, cars, and more. These devices capture powerful data that if collected, processed, and analyzed in real-time, can provide actionable insights and help companies react promptly to new information. However, building and running real-time IoT applications requires developers to cost-effectively collect, prepare and transmit data coming simultaneously from thousands or millions of devices. In addition, developers must also provision, manage, and scale the compute resources necessary to process the data and deliver it to data stores and other application-like machine learning systems. What if you could build IoT applications with sophisticated processing and almost no operational overhead? AWS IoT lets connected devices easily and securely interact with real-time applications. AWS IoT can support billions of devices and trillions of messages, and can process and route those messages to AWS endpoints and to other devices reliably and securely. With Amazon Kinesis, you can effortlessly ingest data from AWS IoT and process it in real-time. Amazon Kinesis is easily scalable and offers fully managed capabilities to handle the entire real-time data lifecycle. Getting started with AWS IoT and Amazon Kinesis is quick and easy. *AWS offers a Free Tier for AWS IoT and for a limited time only, a $25 AWS Credit for those completing the challenge. Individuals, and teams of individuals, who have reached the age of majority in their eligible jurisdiction of residence at the time of entry. Organizations (employ 50 or fewer people) - must have been duly organized or incorporated and validly exist in an eligible area at the time of entry. Large organizations (employ more than 50 people) in eligible areas will be eligible for a non-cash recognition prize. Employees of Amazon or its affiliates, and Devpost are not eligible to participate. Build an app that collects and processes sensor data to solve a particular user need, ranging from ordering fresh groceries or replacing printer cartridges to automating manufacturing plants and assembly lines. The app must use AWS IoT, or Amazon Kinesis, or both to collect and process the data, and take actions in real-time. Your submission must be a new or existing app (If existing, submitters must update their app to run on AWS IoT and/or Amazon Kinesis during the submission period). Use HTTP protocol to directly send data to Kinesis or use MQTT protocol to send the data to AWS IoT and then trigger a Kinesis action. Bring your own sensor data or generate sample data using the Amazon Kinesis Data Generator and AWS IoT Simulator. Leverage third-party APIs, SDKs, and services.  Register for the AWS IoT App Challenge. Shoot your demo video that demonstrates your IoT app in action. Prepare a written summary of your IoT app and what it does. Provide a way to access your app for judging and testing, including a link to your repo hosting the IoT app code, your AWS CloudFormation template files, sample sensor data in CSV or JSON format, and testing instructions needed for testing your app. If needed for your solution, also include any side scripts or HTML pages needed to test. The Github or BitBucket code repository may be public or private. If the repository is private, share access with testing@devpost.com. Submit your app on awsiot.devpost.com before November 16, 2017 at 5pm PT and share access to your app, its repo and its deployment files. Creativity, novelty, and originality of the app. Is your app differentiated and does it solve your users' problems in a unique way? The extent to which the app can impact individuals, businesses, or communities. Does your app help solve a problem or pain point for your users?